Already a subscriber? Renew your subscription here. Your e-mail address is required and will be used to identify you for customer service requests at a later date. 3 years (36 issues) $46.00 BEST DEAL! Save 74% off the cover price! International Subscribers: Get immediate delivery of your magazine, with no additional postage - Subscribe to the Digital Edition! 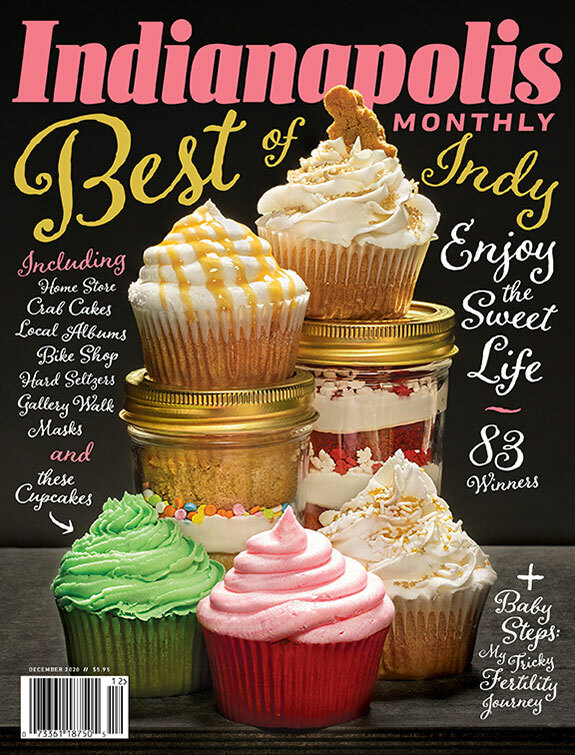 Automatic Renewal: When you accept this offer, your Indianapolis Monthly subscription will continue without interruption until you ask us to stop. Before your subscription expires, you will receive a renewal reminder indicating a charge to your credit/debit card for the low renewal rate then in effect or an invoice will be mailed to you. You can cancel at any time and receive a refund for all unmailed issues by calling 1-888-403-9005.